Yiannis and Amalia Tselepos carry on the age-long tradition of the Peloponnese. In their search for the right location to create their vineyard, they chose the soft soil hills in the fringes of the historic Mt. 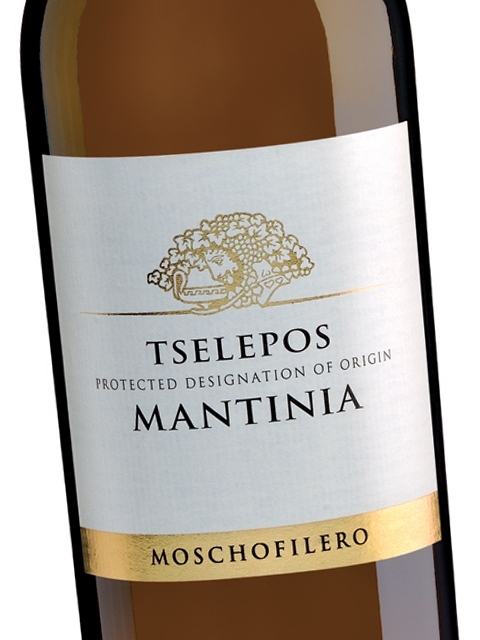 Parnon and in 1989 they established Tselepos Winery within PDO Mantinia. The excellent terrain and climatic conditions, mainly dominated by a continental climate and poor soil with clay and gravel, were selected for their capacity to produce high quality wines. The estate’s linear vineyards spread over 35 hectars with the right orientation and planting density, which ensures maximum sun exposure and facilitates air circulation so that their leaves breathe properly, and are refreshed by the wind, where humidity concentration is prevented as to avoid diseases. 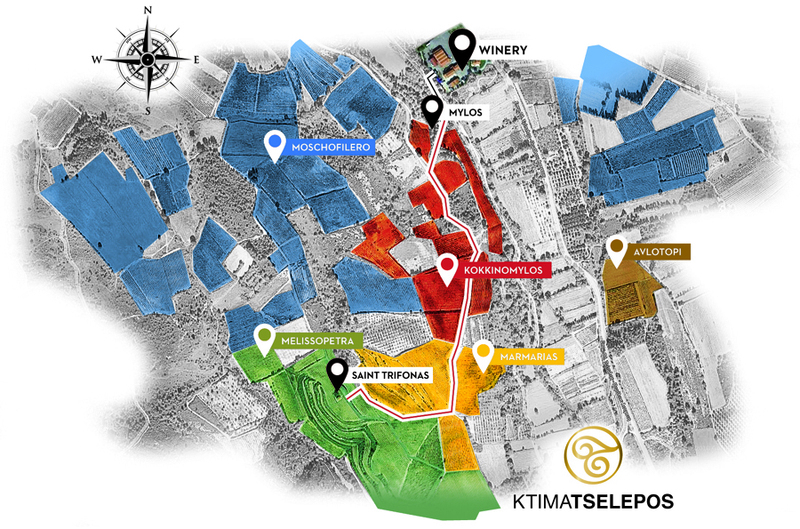 Tselepos also has production facilities in Nemea (Ktima Driopi) and Santorini (Canava Chryssou-Tselepos), offering a fascinating, top-quality Greek portfolio. Ktima Tselepos is located in Arcadia regional unit in the heart of the Peloponnese, between three mountains: Parnonas, Menalo and Taygetos. 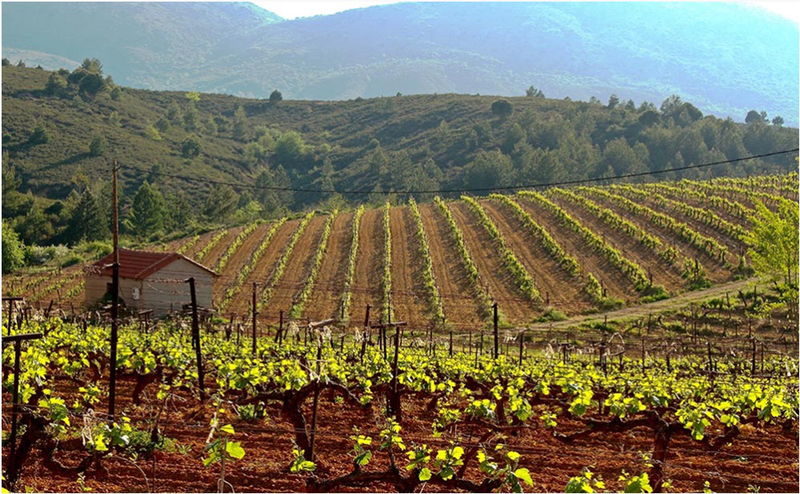 Peloponnese is one of the highest altitude regions of Greece, making an outstanding environment for high quality wine production. 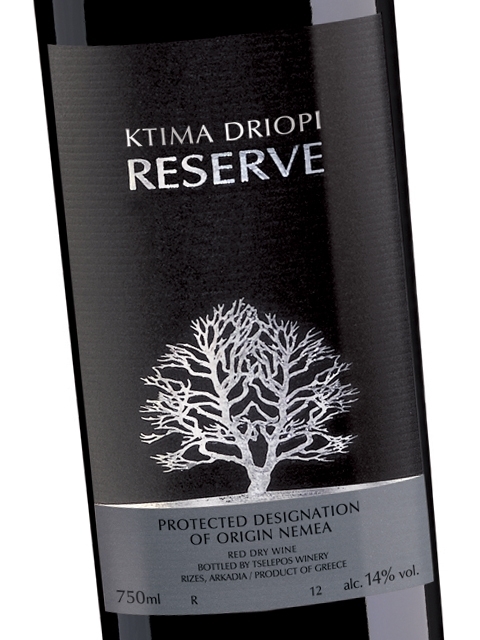 Ktima Tselepos cultivates their vineyards in the altitude of 750 meters, within PDO Mantinia. The very special, cool microclimate of Mantinia with its low temperatures promotes late ripening and unfolds the grapes’ full aromatic potential giving fine, clean and aromatic wines with moderate alcohol. 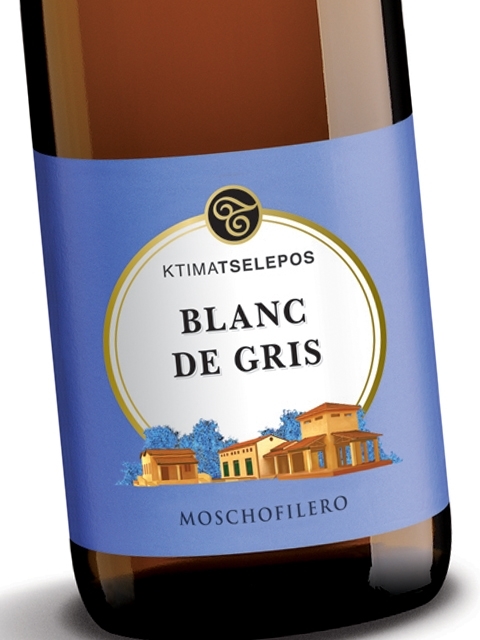 Local grape Moschofilero is floral, exotic and slightly spicy, making it an extraordinary pairing for Asian food, fried dishes, finger food and green salads. 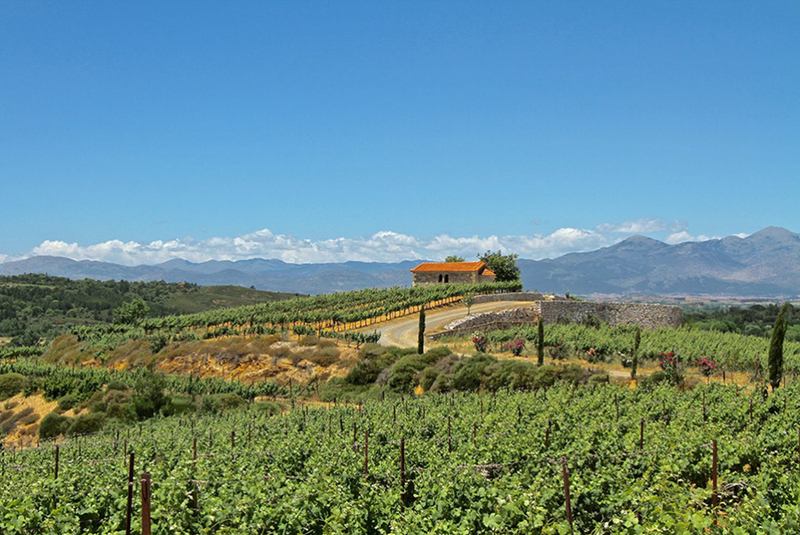 In 2003 wine producer Yiannis Tselepos pursuing his dream to expand his wine activities decided to purchase a 8.5 hectares vineyard after an extensive search throughout the Peloponnese. 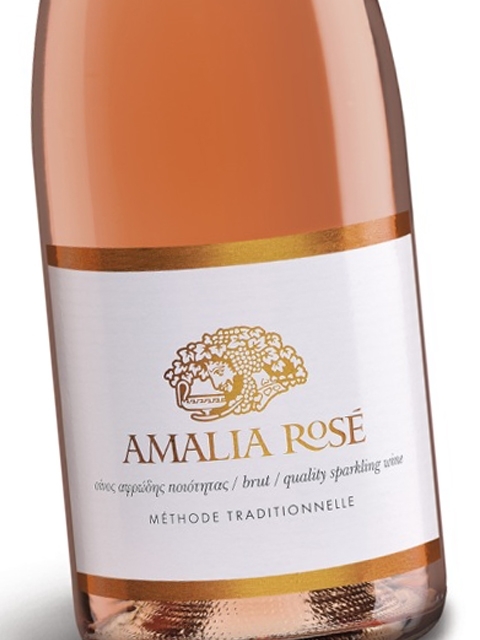 This 50 year-old vineyard is located at Koutsi, Nemea in an altitude of 380 meters. 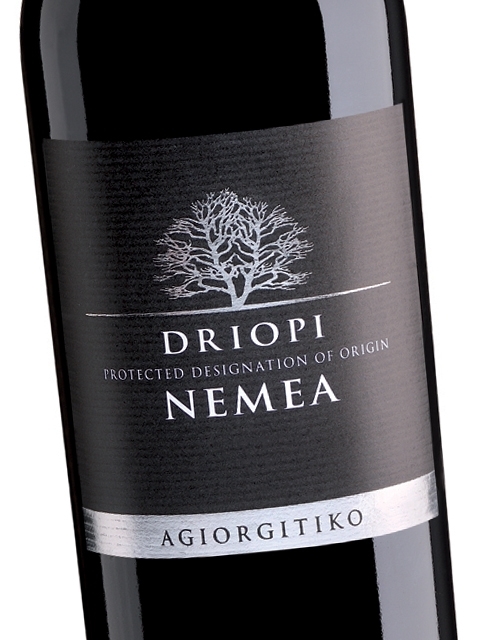 Nemea is well-known among both wine producers and wine lovers as the perfect location to produce wines of the highest standards with great ageing potential from Agiorgitiko grapes. 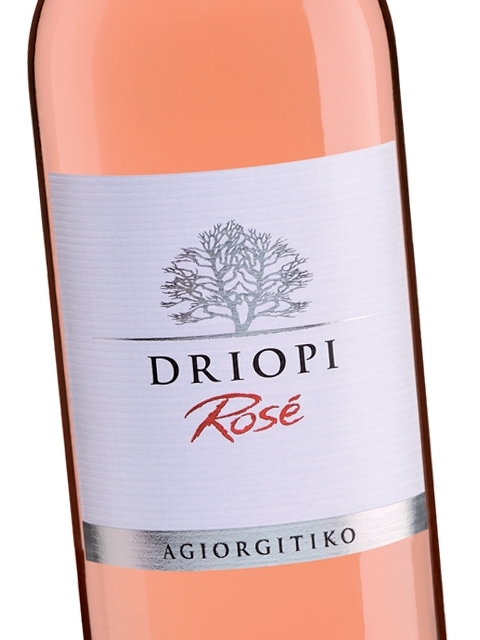 Agiorgitiko produces quality wines with intense color, rich in polyphenols and high levels of soft, mature, sweet tannins. With the guidance and the know-how of Ktima Tselepos, Ktima Driopi evolved and grew, meeting the demanding expectations of Mr. Tselepos. Four hectares have been replanted with specially selected clones, while the rest of the vineyard was maintained, yet adjusted to meet the high standards of Tselepos Estate: low yields (6 tons / per hectare) and innovative vinification. 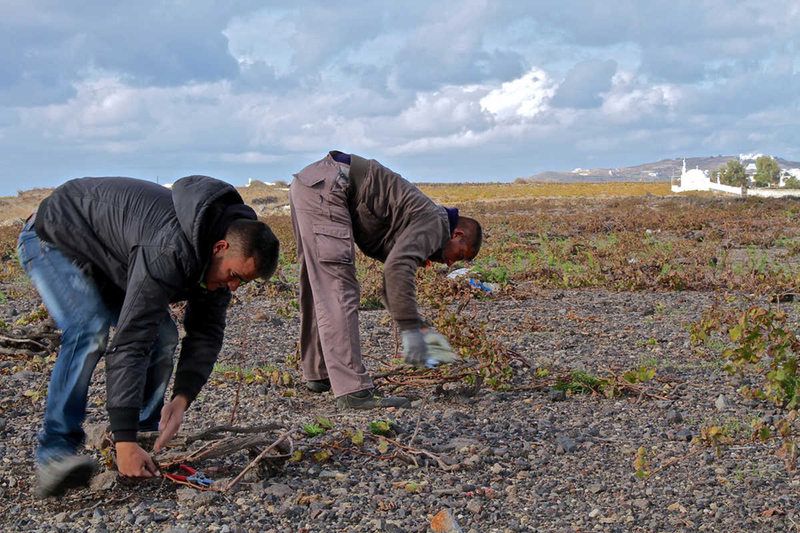 Chryssos family from Santorini owns 12 hectares of vineyards in Pyrgos and Emporio in Santorini. 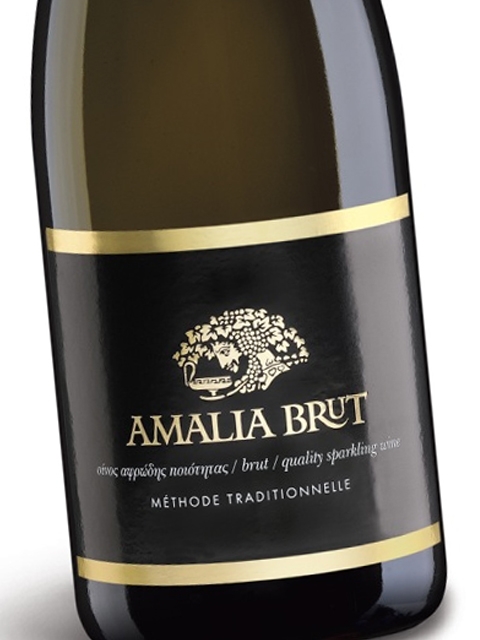 However the vineyard had been neglected and abandoned for years, until Yiannis Tselepos suggested a collaboration between the two families. Chrissos would contribute the vineyard, while Tselepos would undertake winemaking and know-how in both vineyard and winery management. 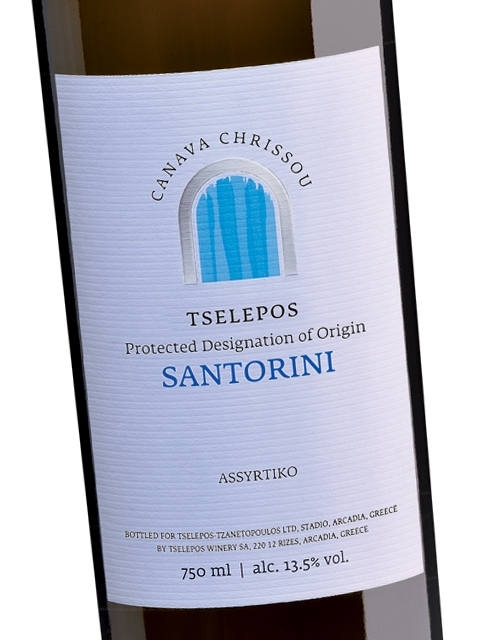 This is how Canava (Winery in Santorini local dialect) Chrissou-Tselepos was founded. 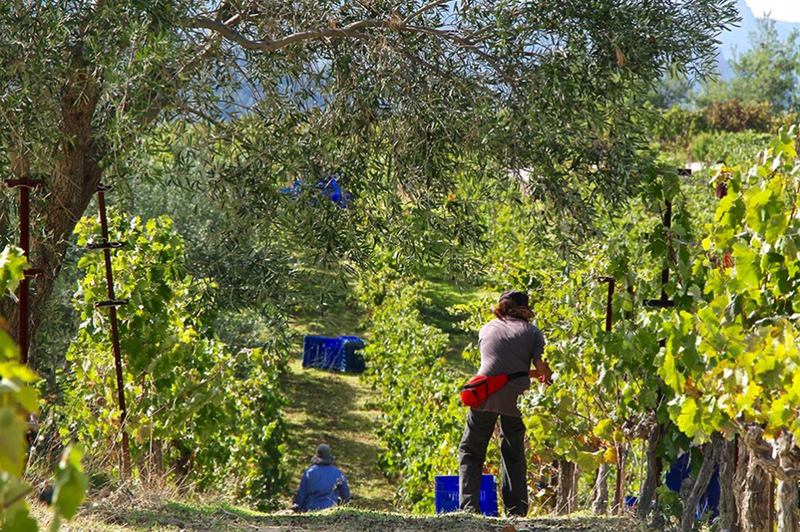 The 50 - 100 years old vineyard has been treated and revived, making 2013 the first harvest of the new project. 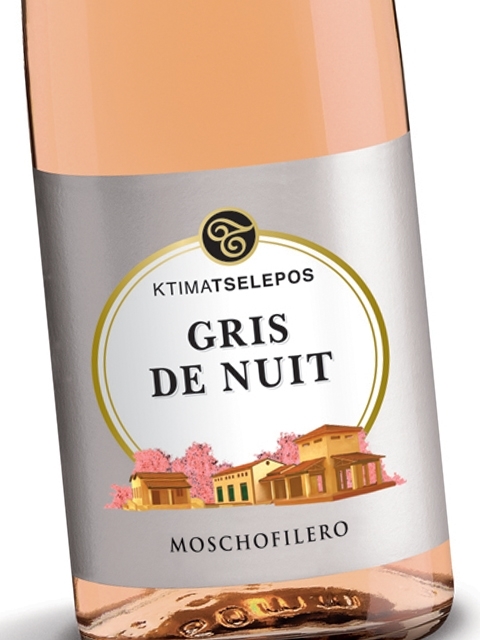 Tselepos target is to produce super premium wines that reflect the special characteristics of Santorini. 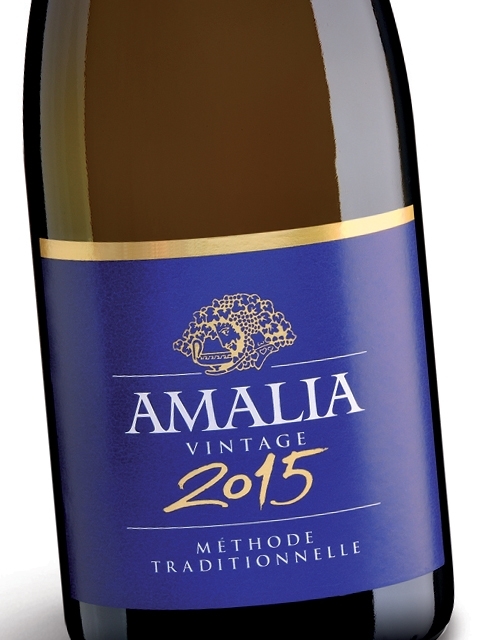 His goal is to show to the international market that Santorini wines with its special volcanic soil, phylloxera-free vines and world-class grapes like Assyrtiko, can be placed among the best white wines of the world.